The portable Hydro-Air aeration system aerates and mixes water in storage pits and tanks to maintain water quality and prevent bacteria buildup. 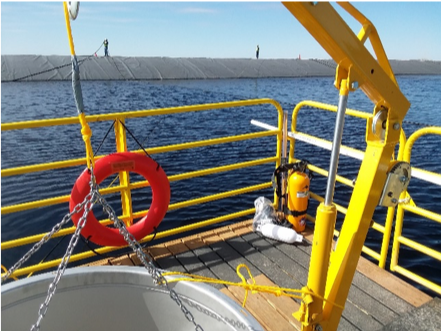 Compared to chemical treatment programs, the Hydro-Air system is a low-cost alternative for managing the quality of stored flowback and produced water. 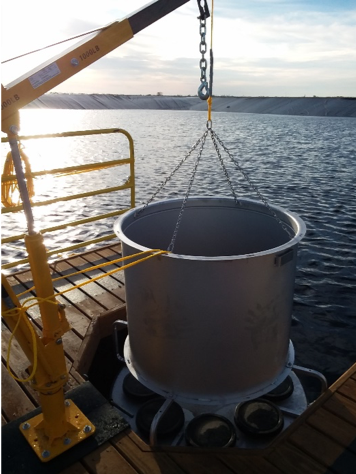 Operators managing large volumes of water for unconventional operations must address the challenge of managing water quality in impoundments and above-ground storage tanks. When stored, produced water can foul quickly, leading to poor water quality and potential odor problems. One approach to solving this problem is frequent treatment of pits and tanks with chemical oxidizers. Insufficient mixing and UV degradation of oxidizers, however, can reduce the effectiveness and increase the cost of chemical treatments. A well-designed aeration system can be a better alternative for stored water quality management. A properly designed aeration system takes into account both water volume and water quality. Chemical oxygen demand (COD) must be tested to determine how much air is required to sufficiently oxygenate the water. This evaluation is essential to properly size an aeration system. 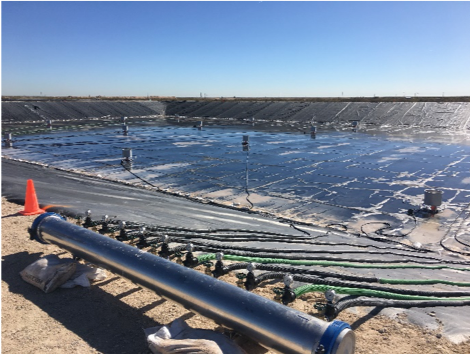 The Hydro-Air portable water aeration system is a low-cost alternative for managing produced water pits and above-ground storage tanks. The combination of introducing air and mixing prevents bacterial growth. 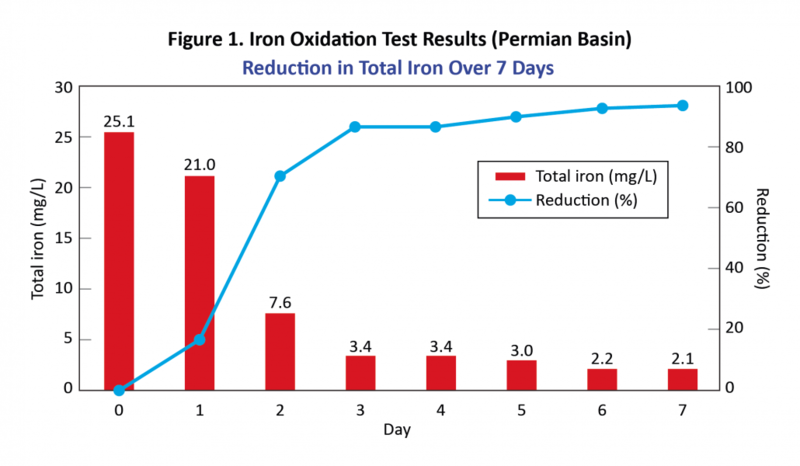 By increasing dissolved oxygen, aeration reduces sulfides, iron and bacteria over time. The system can be adjusted to supply more or less air in different configurations to adjust aeration needs as water quality changes. Aerators in pit with manifold. 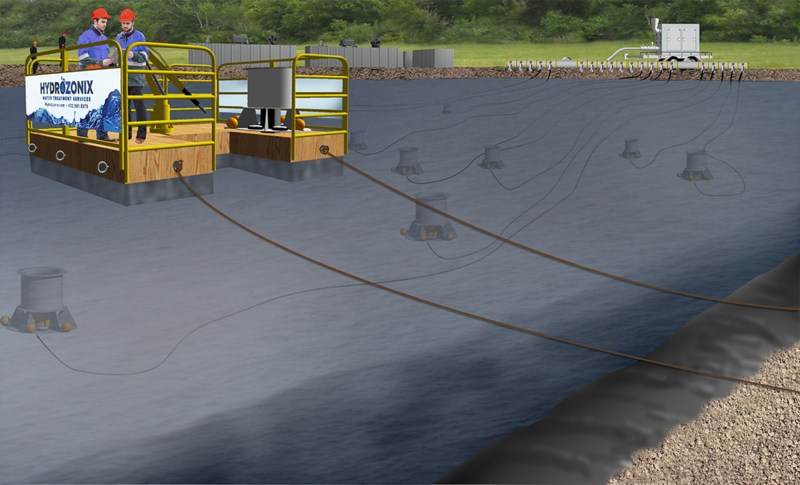 Deployment dock allows placement of aerators in full pits. For semi-permanent water storage, permanent aeration systems are not cost effective because they do not increase oxygen uptake when water quality degrades. 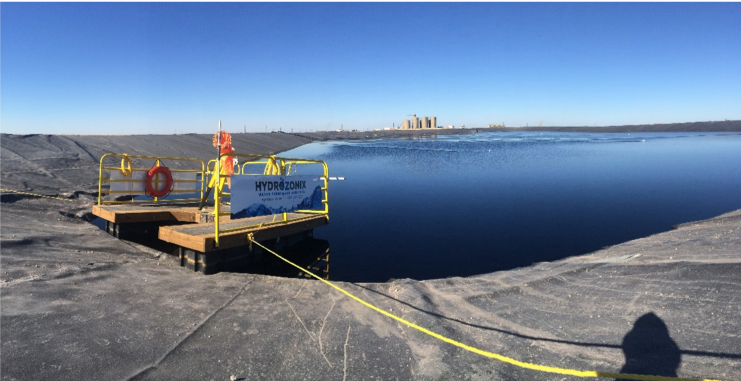 The portable Hydrozonix solution can augment permanent aeration or supply aeration in semi-permanent pits and above-ground pits. 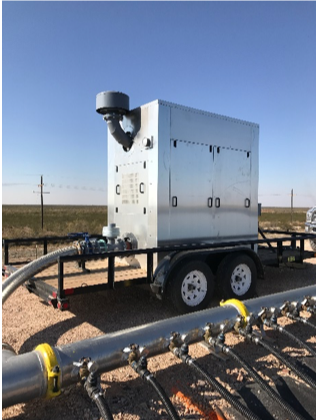 In addition, Hydro-Air systems are simple to mobilize, and a variety of sizes are available to meet aeration requirements. 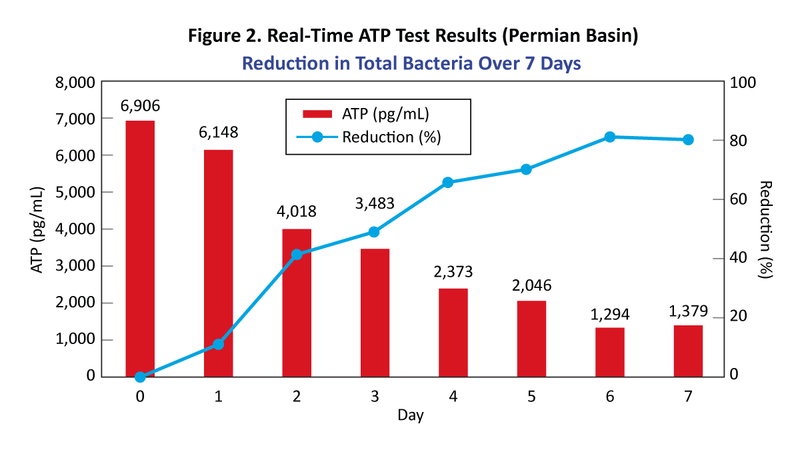 Pit management and treatment: In-ground ponds and pits can experience changes in water quality as bacteria grows. Portable aeration can eliminate this concern while improving water quality. Produced water recycling: Produced water recycling can be made more efficient by using portable aeration as a pretreatment tool. Recycling produced water on crosslink gel fracs can require a homogeneous produced water source. Stratification can make recycling problematic on crosslink gel fracs. Aerating mixers can keep the produced water source blended to remain homogeneous for recycling on crosslink gel fracs. Figures 1 and 2 are examples taken from tests of Permian Basin produced water over a 7-day period using the Hydro-Air portable aeration system. For a more technical look at how aeration can improve water quality, download our paper titled Aeration for Produced Water Management.